Imagine a hands on career that will have you searching for defects that are hiding in the home and could cause problems for the prospective buyer or owner. You are trained "Hands-On" both in the classroom and out in the field to find these problems, document them, and take digital pictures of these problems from the overall structural and mechanical systems including all components of the home. Most professionals are charging $350.00 to $500.00 a home depending on the square footage PLUS another $150 to $200 for a Radon Test if you choose to get licensed. If you are testing for suspected mold that can add another $350 or more and Pest inspections for $125.00 all while spending only an average of two to three hours at a home and about a half hour preparing your Home Inspection Report. That's a TOTAL of $700.00 or up to $1000.00 a HOME! Do I have your attention yet?! 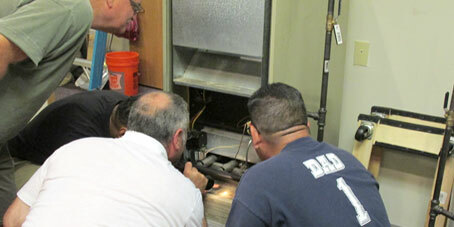 At an average of two to three hours a home, you have the opportunity to perform two to three inspections a day. Also, there is no need to pay expensive rent for an office in a plaza. You can run your business right from the comfort of your very own home. The HomeSpection® Training Institute offers an 80 hour Advanced Course consisting of 56 hours of Certified "Hands-On" Classroom Training and 24 hours of Certified "Hands-On" Field & Software Training. You'll be inspecting your very first two homes while in class and then completing four additional practice properties as part of your field study. The school provides you with all your Text Books and Classroom Materials, all the Inspection Tools you'll need to perform an inspection, and our 24/7 Support...all for only $2,995.00. No other school comes close! (Read Our Testimonials) We offer payment plans, and we accept the Post 9/11 G.I. Bill for Veterans. 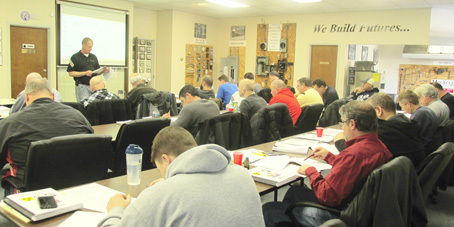 We are also an Eligible Training Provider for Ohio Means Jobs, PA Career Link, Michigan Works, Workforce West Virginia, Indiana's Professional Licensing Agency and the Trade Adjustment Assistance (TAA). We also provide you with live, seven day, 24-hour support through our toll free number. No Faculty Instructor or school does that! Yes, we help our students anytime they need our assistance in the field or office, 7 days a week from 5:00am till 10:00pm and they will testify to it! Please take the time to compare our school to any other, and you'll find no other school in our profession is as affordable as ours or can compare to all that we do for our students, PERIOD! You will be charged hundreds of dollars more for other school courses, including charges for tool kits and text books, and you won't have our unique 24 hour 7 day support. In fact, we provide support calls each week after graduation and we offer to go over our students General Home Inspection reports to make sure they are prepared correctly and perfectly BEFORE they are sent to the client. NO other school does that! 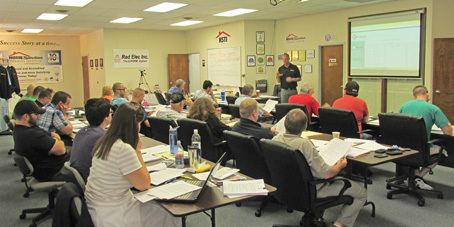 Our Radon Measurement & Testing Course is a two day, 16 hour course that is designed to give students a thorough understanding of what Radon gas is, how it enters a home and how to properly test for it. This course will prepare you to take the National Exam that is required in order to obtain your license as a Radon Tester. The cost for the two day course with the National Exam is $475. Please click on the 'School Enrollment' tab for a schedule of our upcoming classes. The Certified Microbial (Mold) Assessment Training Course is a one day, eight hour course that provides students with an understanding of Mycology, the equipment used for a microbial assessment, sampling techniques for home inspectors, and a basic knowledge of how to read laboratory reports. The course also focuses on Construction Science and the materials used in construction that can create elevated moisture conditions. The cost for the Mold Training course is $375. For an upcoming schedule of classes, or if you'd like to enroll, please visit the 'School Enrollment' tab at the top or bottom of each page. 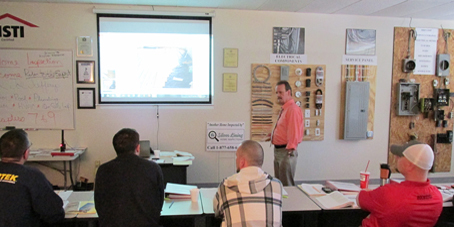 "Get Trained by the Best in the Industry"
Joe has been a Master Certified Inspector for over 42 years, certified through The Master Certification Board. He taught Home Inspection at the college level before starting The HomeSpection® Training Institute over 15 years ago in order to provide the best knowledge and training anywhere in the United States by training students hands-on both in the classroom and out in the field. 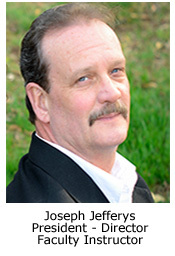 Joe has inspected over 17,000 homes, and is a journeyman electrician, journeyman plumber, journeyman carpenter, and a journeyman HVAC technician. InterNACHI has recognized Joe Jefferys as a Certified Master Inspector (CMI) Approved Instructor and as an InterNACHI CMI Approved School by their Master Inspector Certification Board. Joe is a licensed admissions agent by the Ohio-Michigan Association of Career Colleges and Schools (Permit #14-014) and also licensed and registered with the Ohio State Board of Career Colleges and Schools (Registration # 13-11-2031T). 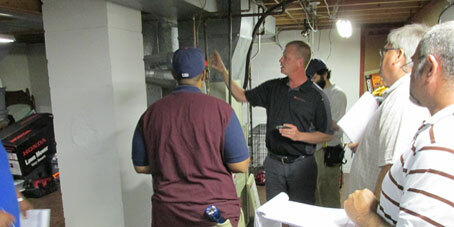 Joe has been trained and Certified in Microbial (Mold) Assessment and Radon Measurement. Joe has received National and Local awards for his accomplishments throughout his business career and has been recognized by Entrepreneur Magazine's Franchise 500, Commercial News USA, Franchise International, Franchising, The Biz, The US Department of Commerce, The US International Trade Association, Commercial News USA, Small Business News, The Canton Repository, and The Akron Beacon Journal for Executive of the month and for Business of the Month. 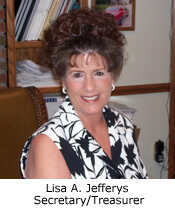 Lisa is the Secretary and Treasurer of The HomeSpection® Training Institute. Her business career started in 1988 building one the largest cleaning franchises in the country. From Los Angeles to Boston to Miami, and worldwide to the United Arab Emirates. Her dedication, sacrifice, business commitment and her personal touch policies became nationally recognized due to her 100% success rate with each franchise in the country. She was awarded through the United States Chamber of Commerce in 2001 as one of the top 100 Franchises in the Country including The Commercial News USA, Entrepreneur Magazine and the United States International Trade Administration. Since 2004, Lisa has provided The HomeSpection Training Institute with all the Secretarial and Treasury responsibilities. 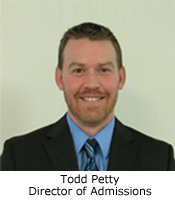 Todd graduated from the University of Cincinnati with a Bachelor degree in Marketing and Entrepreneurship. Todd is a licensed admissions agent though the Ohio-Michigan Association of Career Colleges and Schools (Permit #14-093) and is also a Certified Home Inspector. He has a background in helping others start their own business and has worked as a National Franchise Sales Manager. Todd enjoys finding people with an entrepreneurial spirit and assisting them in starting their own successful business. Matt is a Certified Home Inspector and the proud owner of Sharpshooter Home Inspections, www.sharpshooterinspections.com. In addition to being Certified by the HomeSpection® Training Institute, Matt is a Licensed Radon Tester by the State of Ohio - Department of Health (License Number RT903). 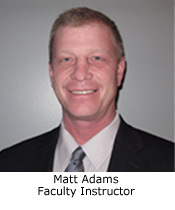 Matt also has certifications in Moisture Intrusion, Deck Inspections, Advanced Electrical & Plumbing Inspections, Comfort & Climate Inspections, Energy Movement with in the home, Whole House Systems, InterNACHI Residential Standards of Practice, InterNACHI Code of Ethics, ASHI Standards of Practice, and ASHI Code of Ethics. 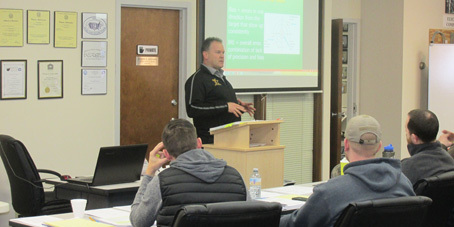 Due to Matt's outstanding success with his own Home Inspection business we have brought him on board to assist in training our Radon Measurement & Testing Course students. Mark currently serves as the health commissioner for Henry County Health Department located in Napoleon, OH. Prior to that, Mark served as the Director of Environmental Health at the Canton City Health Department for 24 years. He received his Bachelor of Science from the University of Akron, his Master of Public Health from Tulane University School of Public Health and Tropical Medicine, and completed Officer Candidate School at the United States Coast Guard Academy. 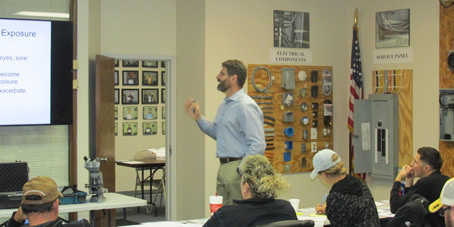 Mark has successfully campaigned for changes in local lead and indoor air initiatives through congressional testimony, has responded to hundreds of local and regional health incidents in various leadership capacities, and acts a liaison between government and civilian stakeholders on issues relating to public health and building codes. He has administered many grants, and has spearheaded certification as an Academic Health Department with NEOMED, and has written department Vector Control Protocols, comprehensive Health and Safety Plans, Environmental Health Operation Policies, and Biological Sampling Protocols. 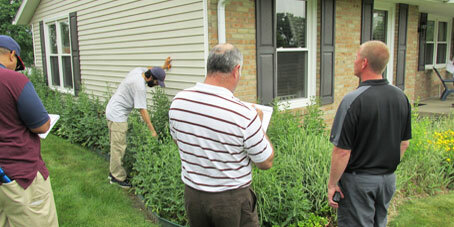 Mark is a Licensed Commercial Pesticide Applicator in 7, 10A and 10D. Prior to serving as the Director of the Canton City Health Department he worked as an Administrator and a Field Investigator where he administered enforcement programs related to environmental health, including food safety, nuisance abatement and lead risk reduction, and testified as an expert witness in over 1000 criminal proceedings for matters related to environmental health. As a Principle certified trainer for federal response protocols, he has administered local biological response protocols, and is responsible for testing and certifying Respiratory protection equipment for county police, fire and public health personnel. As a Certified investigator for air pollution control issues with Stark County he maintained air emissions and air monitoring equipment and developed criminal enforcement programs for air permit violations. 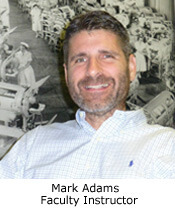 Mark also served as the Superintendent for the City of Canton Department of Municipal Sanitation, reducing employee injuries by over 80%, and is the founder of the City of Canton Recycling Center and Drop-off for facilities in Stark, Tuscarawas and Wayne County where he provides recycling training for ages K-adult. Mark was a Lieutenant for the Homeland Security United States Coast Guard where he served from 2002 to 2012 and was a team member for the Joint Terrorism Task Force, working with the ATF, FBI, ICE, BCI and other members of local, state and federal law enforcement. He was deployed to Hurricane Katrina Operations as a Safety Officer responsible for the safety of over 2000 first responders. He also served as Situation Unit Leader for Hurricane Ike Operations and Hati Earthquake Response Operations, and set up a training facility for over 25,000 responders to the Gulf Oil Spill and personally trained nearly 3000 civilian contractors in oil response safety, maritime law enforcement and incident command responsibilities. Mark served our country as a Sergeant for the Department of the Army in the Ohio National Guard from 1987 to 1999 where he was responsible for troop training and evaluation and was personally responsible for 16 troops and over $2 million in classified equipment. Mark retired from the military with 24 years of service with distinction as a decorated veteran. 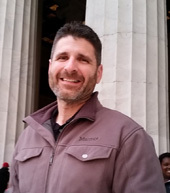 In addition to teaching our Certified Microbial Assessment Training Course, Mark also teaches at the Northeast Ohio Medical University on Family and Community Medicine and was an instructor for the United States Center for Domestic Preparedness. Mark currently mentors students from 16 Ohio universities as a local public health mentor. Mark's Professional and Community Associations include the National Environmental Health Association, Ohio Environmental Health Association, Military Officers Association, Canton Housing Task Force, Northwest Jackson Soccer League, Treasurer of Sports Booster for Holy Cross Academy, Toast of Canton; Toastmasters International, Club 7133-10 and the Alpha Zeta Omega Professional Pharmaceutical Fraternity. With Mark's extensive teaching experience, leadership and community outreach efforts we are excited to have him as part of our team. Colton is licensed as a Registered Sanitarian and currently serves as a housing and field inspector for Canton City Public Health. For the last 7 years, he has served in varying capacity with the agency, working primarily as a Staff Sanitarian II, in the nuisance and housing program. He has assisted law enforcement and emergency response units in relation to housing conditions and environmental health law. He has also served for 6 years as the supervisor of the Canton City Vector Control Program, where he conducted studies, analyzed data and led the department to implement new environmental health procedures. Colton received his Bachelor of Science in Molecular Biology from Kent State University and later obtained a Master of Public Health for the Northeast Ohio Medical University (NEOMED). In addition to working with Canton City Public Health, Colton has served as a Certified Hazmat Technician for the Stark County Hazardous Response Team since 2016. He also assists in the operation and management of the Canton City Recycle Center. 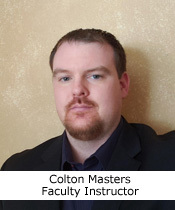 Colton has hosted classes or presented at professional organizations from around the state. He also has ties to the Ohio Environmental Health Association (where he is a district director), and the National Environmental Health Association. Chris is a Certified Home Inspector and the proud owner of K9 Property Inspections, LLC, www.k9propertyinspections.com. In addition to being Certified by the HomeSpection® Training Institute, Chris is a licensed Radon Tester by the State of Ohio, Department of Health (License Number RT918). 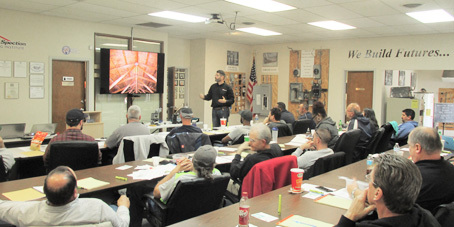 Chris also has certifications in Structural Issues, Roof including Metal Roof Inspections, Indoor Air Quality, Renovator, Moisture Intrusion, HVAC Energy, Exterior, Energy Loss, Deck, Ventilation, Advanced Mold, Green Building, Infared Thermography, Advanced Electrical, Roof Data, Plumbing and Energy Movement. 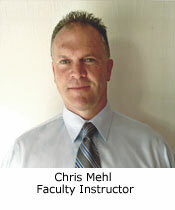 Chris is a member of InterNACHI and follows their Residential Standards of Practice and Code of Ethics. Chris specialized in HVAC systems and design for over 26+ years, is a retired Police Officer/ K9 Handler, and a USMC Veteran. Due to Chris's outstanding success and knowledge we have brought him on staff to assist in the training of other students. We look forward to hearing from you and helping you get your new and exciting career as a Professional Certified Home Inspector started as soon as possible. Please click on the School Enrollment link above for a list of our upcoming classes. We also personally invite you to visit our school here in beautiful Canton, Ohio, home of the Pro-Football Hall of Fame, to see our 100% success and the 100% success from our past students. 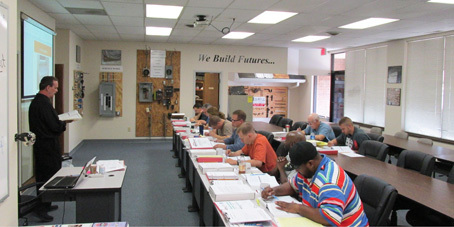 We do limit our class size to ten students in our Advance Home Inspection course in order to provide you with the most personalized "Hands-On" training. Make 2019 the year you change your life for the better! Enroll Today!